Agents, also referred to as attorneys-in-fact, have some important responsibilities and powers. Although the specifics of these duties and the extent of their power will vary from situation to situation, in general, the following are among the most important facts to understand about this role. The power of attorney document will dictate the specifics – Namely, the power of attorney document will detail when the agent is to assume his or her powers or duties, as well as what the extent of these duties are. While powers of attorney can be very limited (only allowing agents to make certain decisions about another’s medical or financial needs), they can also be devised to be far-reaching, depending on the needs and wishes of the individual devising the power of attorney. Agents are fiduciaries – And fiduciaries are people who hold a legal obligation to provide fair, unbiased service to some other party (usually with respect to financial issues or decisions). This essentially means that agents have a legal duty to set aside their own interests and act in the best interests of the party for whom the power of attorney has been devised. It also means that, if the agent fails to meet these obligations, (s)he can be held personally liable (i.e., (s)he can be sued). There can be multiple agents – Depending on the needs and wishes of the person devising a power of attorney, multiple people can be designated as agents. In these situations, these multiple agents may be required to make decisions (about financial or medical decisions) together, or they may each be responsible for making certain decisions (e.g., one agent governs business finances, another is responsible for personal finances, and another is responsible for medical decisions). 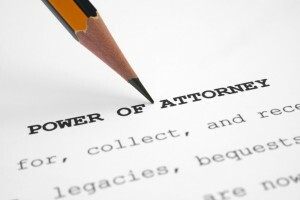 In these cases, understanding the specifics, as laid out in the power of attorney documents, will be essential. Agents can be fired – In fact, agents can be removed from their position by either the principal (i.e., the person who devised the power of attorney) or a guardian or conservator who has been appointed to oversee the principal’s affairs. When you are ready to develop or revise powers of attorney – or your overall estate plan, you can turn to the Denver estate attorney at JR Phillips & Associates, PC. Our lawyers provide a thoughtful, comprehensive approach to our clients’ estate planning, elder law and other legal needs, and we take pride in helping each of our clients and their families find the best solutions for them.